This 5-session course covers a diverse selection of techniques for problem identification and exploration, helping you to develop exceptional research approaches for designing, enacting, and interpreting change. Research is fundamental to understanding how the world works and at the core of doing well-founded and evidence based work. You can make change if you don't understand why and how things work first! We look at multiply research strategies that support your ability to explore, dissect, and uncover unique aspects of the world around us. Far from any traditional more boring approaches like clipboard-based surveys, this course will help you develop exceptional and rigorous approaches for designing, enacting, and interpreting research approaches to support your change making. Develop a robust and dynamic research mindset by exploring terminology and capabilities in research approaches. Determine how to interpret research findings and develop your own ethical research approaches. Learn how to frame a good research question and design a research process along with personalized approaches to researching and experimentation. Knowledge Check: What is Research? Learning Action: NEED SOMETHING BETTER? In this course, we will examine how to apply actionable research and responsive feedback loops to develop creative solutions to complex problems (which become way less complex once you get your head around good research approaches!). 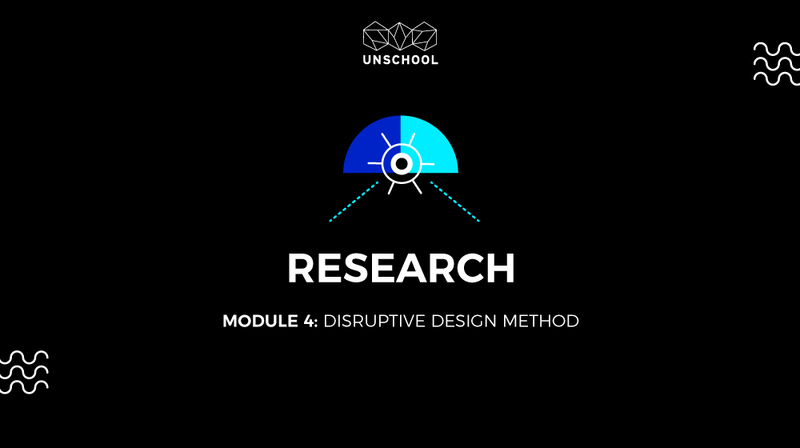 When you finish, you'll be able to define, understand, and design research methods and techniques, gather observational and ethnographic data, critically investigate responses, and collect information that sheds greater insight into your problem arena. Most importantly, you will discover that research is curiosity and experimentation in action, and through this course you will be equipped to develop your own approach to an investigative lifestyle. When you begin to take on the role of a positive creative change-maker, you discover the need for thorough understanding of the problem arenas you want to change. You will then appreciate even more the power of dynamic, experiential and ethical research, the foundation for any good practice. Discover how gamification and game theory impacts all of our lives with this 5-part course on how to employ game mechanics and understand the economic 'game theory' to design cerebrally-stimulating experiences that activate change.